DDLY, Software Delay/Echo from iZotope. 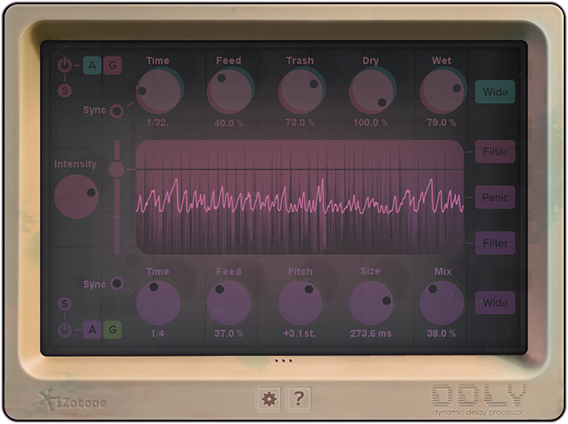 iZotope has released DDLY, a new delay plugin which is available for free - but only for the next 30 days. iZotope has released DDLY, a new effects plugin that is said to aim at helping to achieve a cleaner, more complex sound than a traditional full-signal delay plug-in. 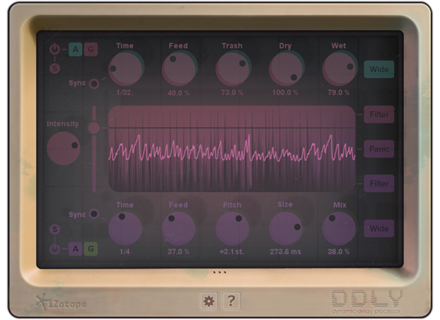 DDLY Dynamic Delay is designed to respond to the track´s musical dynamics to create versatile and intriguing delays. It is described as "a one-of-a-kind effects plug-in that delays the signal differently depending on the character of the sound" while keeping the sound clear and distinct. DDLY is made to react optimally with sources with a strong dynamic range and expressiveness such as drum tracks and vocals. Customizable delay: Both delays have two modes to choose from, Analog (which produces warm lo-fi delays with smearing and degradation) and Grain (producing melodic, symphonic and futuristic sounds for novative soundscapes). Responsive interface: The interface of DDLY reacts to the material it’s applied to, providing real-time visual feedback. And the greatest news is - DDLY is available now and completely free until March 9th, after which it will be priced $49 - so don't delay your registration for too long. More details available at iZotope's website. Harrison releases Mixbus v3.1 Harrison Mixbus has released version 3.1 of their Mixbus DAW. New bundles from the Plugin Alliance The Plugin Alliance has introduced new and updated versions of their bundles, now available from their website. MeldaProduction's Eternal Madness Discount, week 6 MeldaProduction's 2016 Eternal Madness Discount continues with a new selection of 5 plugins available at half price this week only.